One of North Wales’ most well-known three-star hotels has completed work costing £1 million. 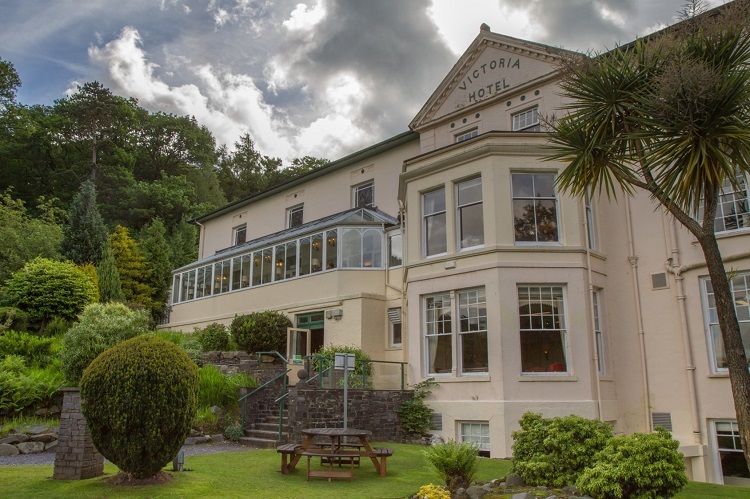 Upgrades to all 104 bedrooms and improvements to the reception and dining areas follows an ambitious five-year programme to breathe new life into The Royal Victoria hotel in Llanberis. Affectionately known to many residents of the area and under advice from Focus Hotel Management, completion of the work has already had the desired effect, with turnover almost doubling since it began in 2013. Standing at the foothills of Snowdon, the popular venue was originally built in the 1830s to offer hospitality to travellers who arrived in stage coaches from all over the UK. Completion of the work also commemorates the 50th anniversary of the hotel being owned by the Ackerley family. Including new light and contemporary decorations to each room, local granite and slate have been used to retain an authentic feel to the internal and external fittings and façade. Computer controlled heating and hot water supply has also helped bring the services up-to-date. Steve Lee, general manager said: “It’s been a monumental task to rejuvenate the venue. Today’s guests, quite rightly, have high expectations when they stay in hotels like The Royal Victoria, so it was important the work reflected what people now come to expect. “The venue is popular with a wide range of guests including holidaymakers, walkers, business people and those getting married, so it was vital the refurbishment appealed to their tastes. “The restaurant, lounge and bar area are already very popular, and we’ll be looking to attain a rosette in the next twelve months now that the work is finished. While work to the main hotel has been completed, a further £100,000 will be invested during the winter on seven executive rooms to create high specification, modern bedrooms with en suite walk-in power showers. Boasting superb views of the surrounding area, each one will be individually designed to showcase the natural elements of slate, copper and gold which are synonymous with the area. Steve added: “The number of people visiting the area to walk up Snowdon has increased in recent years and with work at the Wylfa nuclear power station set to get underway, there will be an increase of executives and workers looking for somewhere to stay, so North Wales needs to provide accommodation of this quality.